Any SQL Explorer is a common editor from where more than one database types can be accessed, queried. It's basically a windows application targeted for e learning domain and software industry. Presently in the market, we have single database explorers through which one can access/query a particular database engine for each of which we need a dedicated database explorer. 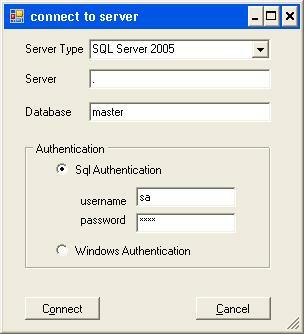 Using Any SQL Explorer one can access any database provided with the database credentials. Windows 2000 service pack4 or higher versions. Two different databases (Oracle, SQL server 2005) for testing. Microsoft C# 2.0 programming language.